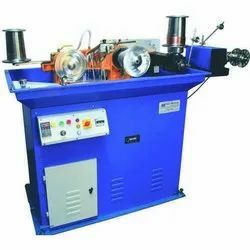 Prominent & Leading Manufacturer from Ahmedabad, we offer gold 12 pass wire drawing machine with bobbin rewinding, gold powder chain mixture machine, chain soldering machine, gold wire flattening machine, gold ammonia cracker annealing furnace and gold hollow tube forming machine. 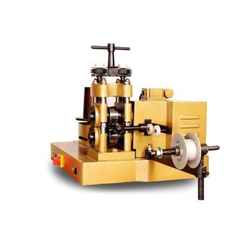 We offer Gold 12 Pass Wire Drawing Machine with Bobbin Rewinding for our priceless customers. 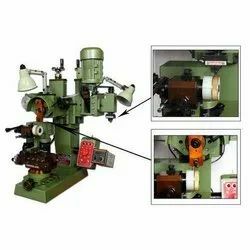 The offered machines are designed in strict compliance with the prevailing industry standards and are highly regarded for their optimal performance. 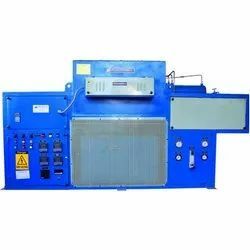 These machines are extensively used in the Gold Chain Industries to make wire for Gold, Platinum & Silver chain. It can draw with capacity from 1.5mm up to 0.10 without any zerk & breakage of wire drawing process. 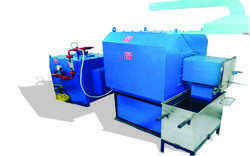 this machine equiped with Variable Speed Device to make machine efficient & highly productive. 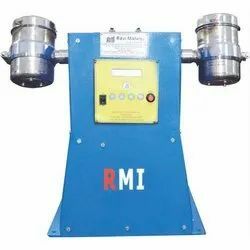 This is our new mixture machine specifically used to mix gold or silve chain with soldering solution for soldering process. These machine has self operative elecrtric panel & motorised. It can process 1 kg at a time. It does remove manpower time. Backed by our vast industry experience, we have come up with Chain Soldering Machine for our valued customers. The offered machines are designed in strict compliance with the industry standards using premium quality materials and advanced technology. These machines are much appreciated for their optimal design, long-term functionality and energy efficiency. 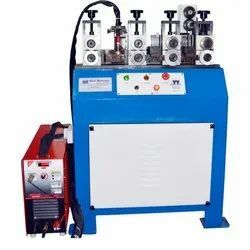 Requires very less maintenance and has smooth functioning at the clients' end, our range of Wire Flattening Machine is extensively demanded these attributes. Catering to the exact needs of our clients, this offered range has been able to create a separate identity of its own in the domain. The small control panel will be equipped with a PID controller for better temperature treatment over the complete heating and soaking cycle. There will be a programmable temperature controller through which the heating cycle will be controlled. & there will be thyristor heater control for the accurate temperature control. We are leading exporter of jewellery making machine with wide range of products in chain cutting machine, we have in offer of verticle & horizontal vertical machine & step cut chain cutting machine. we have been supplying these goods to various overseas customer. 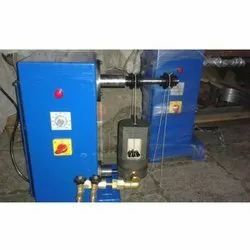 We offer Gold And Silver Belt Annealing Furnace.